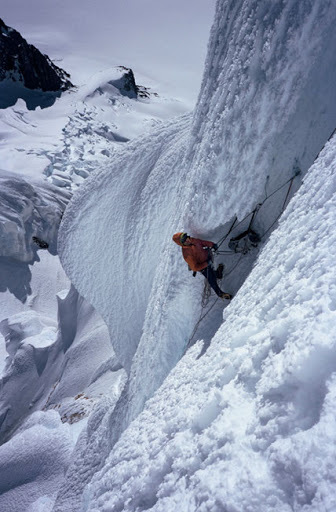 For those of you who are veterans of Ice Fest, you know that each year we bring in the biggest and brightest stars of modern ice, mixed, and alpine climbing to teach clinics, give slideshows, and just be around to hang out with the rest of us climbing mortals. We are especially proud of the line-up of visitors for 2008: Colin Haley, Mark Richey, Max Turgeon, Will Mayo, and Mark Synnott. There’s also a rumor circulating that New Hampshire-native Josh Wharton will be around this Ice Fest–I’ll keep you posted when the details are confirmed. If you’re not a die-hard climbing-mag reader, you might not be instantly familiar with some of these names–even possibly our headliners Colin Haley and Max Turgeon. If you don’t already know who these guys are, don’t worry, you will soon. These are two of alpinism’s rising stars–the guys who are on the front lines right now, opening the doors of what is possible to achieve in the mountains. 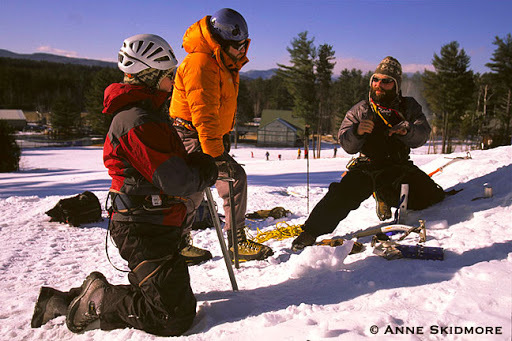 We are stoked to be supporting this next generation of alpine bad-a*#es and we are grateful that these guys can take a few days out of their jet-setting expedition schedules to play with us here in New Hampshire. Check out the Ice Fest SCHEDULE page for a list of the clinics offered by our celebrity guides and call us at the IMCS office (603-356-7064) today to reserve your spot in these limited-space courses! Please note: Despite her name being on the poster, Zoe Hart unfortunately won’t be able to join this year due to a scheduling conflict (she’ll be off pioneering new routes halfway around the globe instead…). Our steep ice women’s clinics will be taught by our guest guide from the Colorado Mountain School, Majka Burhardt. Majka is an extremely talented and accomplished climber and guide from Boulder, Colorado. Check out her feature article in the current issue of Climbing magazine! Happy New Year everyone! All of us at IMCS and IME hope you had a wonderful holiday. We’re having an epic winter up here in the North Country—keeping everyone in cheerful spirits. If you’re thinking about buying any new ice gear this winter, you should consider coming up to the Gear Demo at Ice Fest. All the leading gear companies will be here with the latest and greatest boots, ice tools, crampies, and more for you to check out and try on your own before you buy. No purchase is necessary and there are no entrance fees for the demo. We still have slots open in our skills clinics during Ice Fest! 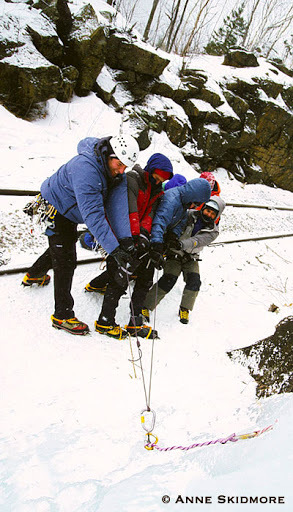 Improve your steep ice or dry-tooling skills! Know how to perform a rescue on ice? 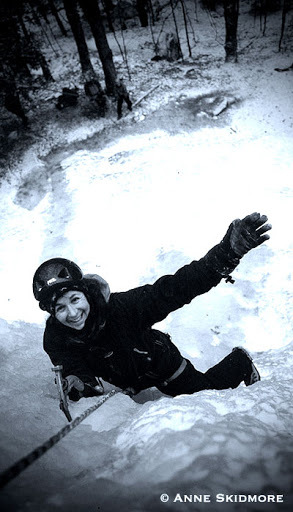 Brush up on your self-rescue skills at our ice rescue course! Call IMCS 603-356-7064 today to book your spot. Our poster is officially done! They will be spread all over New England and further! Please let us know if you know a specific place where it should be up! Such as a new store, gym, or college outing club! Just click on “comment” below this post and let us know! We would be psyched to reach out to all places that have an interest! Mark your calendars! 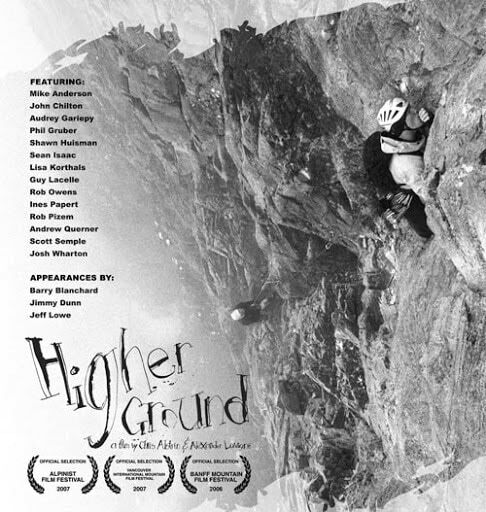 The Mount Washington Valley Ice Festival will host the New England premier of Higher Ground, a new climbing flick by Alex Lavigne and Chris Alstrin of HG Productions. We will be showing excerpts from the film on Saturday, February 9, starting at 7:30 pm at the Cranmore Fitness Center climbing wall. Want to improve your swing? Become a more efficient ice leader? 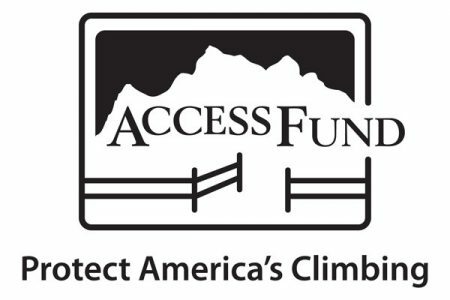 Want to push your mountain skills to the next level? 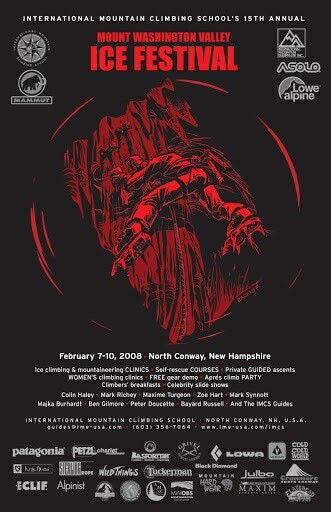 Check out the 2008 Mt. 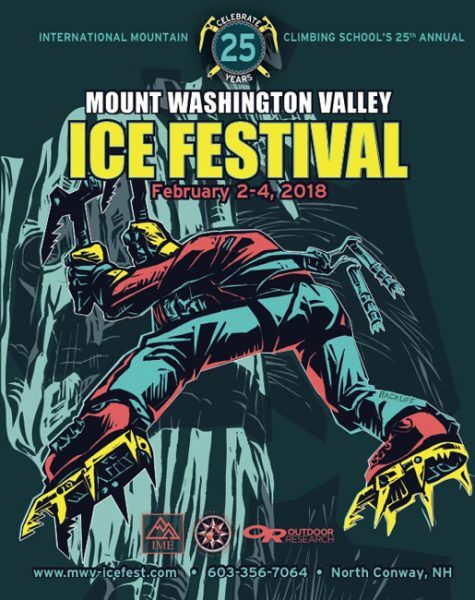 Washington Valley Ice Festival SKILLS CLINICS, offered by the International Mountain Climbing School. A list of all the clinics can be found on the Ice Fest web page. Don’t find what you’re looking for? Call the IMCS office (603-356-7064) and let us tailor a clinic to your needs.